Where there are trees, shrubs and flowers—there is mulch. And, keeping the grounds where these plants live healthy is key if you want to protect your investment in the landscape. Mulch might seem purely aesthetic, like icing on the cake. And there’s no doubt, it does create clean-looking, defined landscape beds and a rich backdrop for seasonal color. Mulching is an annual landscape maintenance necessity. Now, there will be some seasons—and certain circumstances—when you need more mulch, or when you can simply touch up beds. And, you can time mulch application based on your budget, opting for the service during months when there is less required maintenance activity. 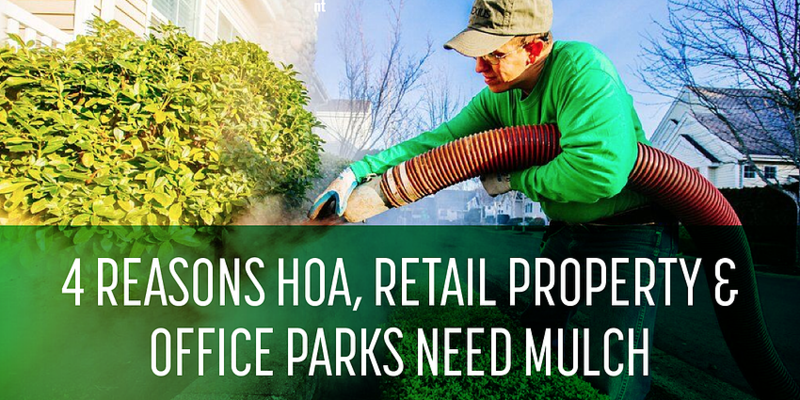 But your Ohio HOA or commercial property needs mulch this year. Here’s are 4 reasons why, and what you need to know about mulch benefits and timing. With mulch, you can put down too much of a ‘good thing.’ Maintain mulch layers of no more than 3 inches. Churn up existing mulch before adding new. This allows air, water and nutrients to circulate and pass through to soil and into plant roots. 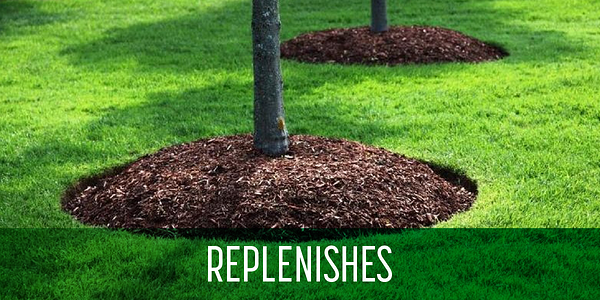 There are many reasons to add fresh mulch to your landscape beds each spring. 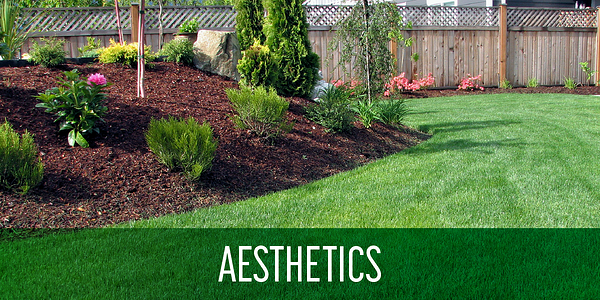 Sure, it looks good—but mulch also covers up plant roots, protecting them from the elements. 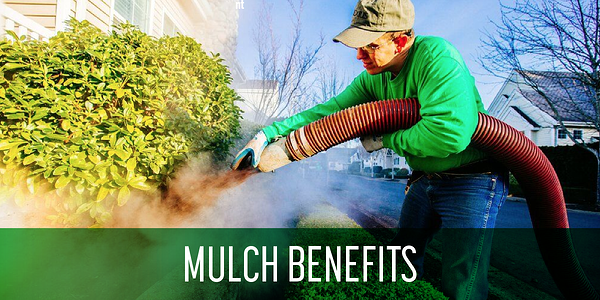 Mulch insulates roots during winter and locks in moisture during summer. So, you’ll conserve water and reduce the amount of irrigating necessary in plant beds. Mulch isn’t a magic bullet that stops weeds from growing in landscape beds—but it sure does help. Here’s why: Weeds need sunlight to thrive. Also, weeds grow in poor soil conditions, and mulch contributes to soil health by locking in nutrients, moisture and even delivering soil benefits. You’ll also want to supplement mulch with a landscape maintenance program that includes weed control, but mulch is a big factor in whether your weed control efforts will be successful. Think of it as a crisp canvas—a rich contrast to bright pops of color. Mulch enhances curb appeal by creating clean lines between turf and bed areas, and highlighting vibrant flowers and healthy plants. Mulch will make your landscape stand out, and it can be the fastest, most cost-effective way to give your property a fresh look. Mulch tends to fade as summer wears on, and you’ll lose some coverage from weather conditions and typical maintenance like blowing out debris from beds and fall clean-ups. Not to mention, Ohio winter weather conditions break down mulch. When’s the best time to mulch? While your landscape beds will benefit in fall with a touch-up layer to protect roots and stabilize soil temperatures during winter, spring is when most property managers realize their beds are looking bear. Mulch should be applied after spring clean-up. 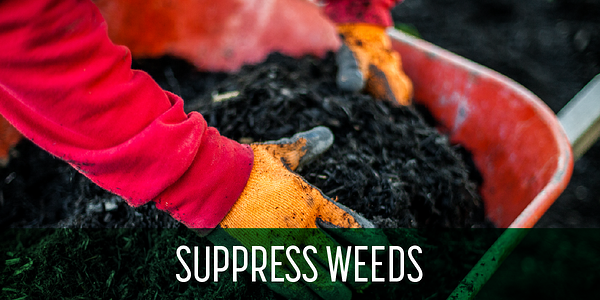 First, a landscape crew will remove debris, then apply a pre-emergent herbicide to prevent weed growth. Plant nutrition follows, then mulch. Keep in mind, if your property includes flowering trees and shrubs that are blooming now and will drop petals, wait until plants cycle through the spring bloom. Improve soil health, prevent environmental damage and preserve your investment in plants with a mulch application this spring. We’ll tailor a program to suit your budget and property’s needs. Contact us at 440-327-3030, or fill out this simple form and we’ll get in touch with you. 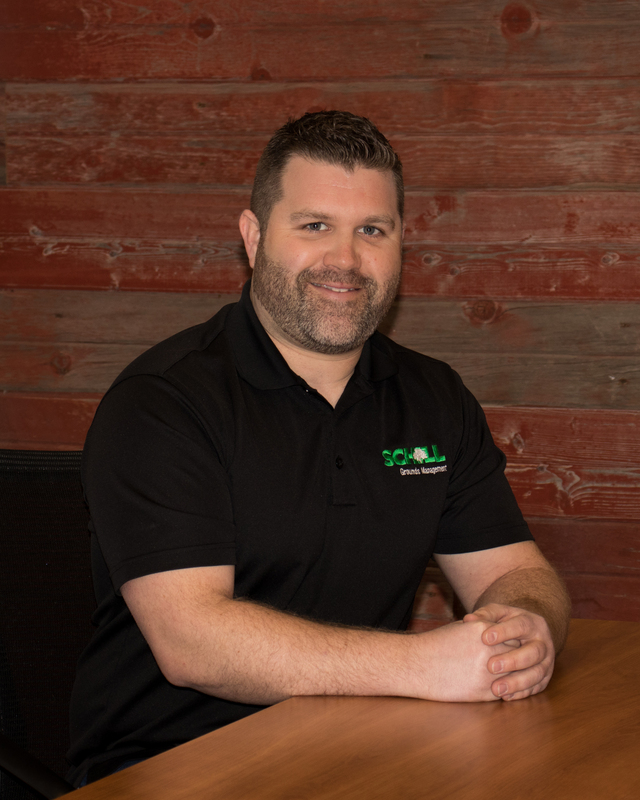 Chris McGhee works closely with the Operation Managers and Foreman to ensure we meet all contractual commitments and that all work is clearly communicated to our team in the field. Chris is a 2009 graduate of The Ohio State University ATI. He has over 10 years of experience in the field doing a wide variety services.